The option of medical tourism is becoming more attractive as prices for private treatments elsewhere in Europe can be lower than in the UK. Procedures in Eastern Europe or in more exotic Asian or Indian locations may be available at only a fraction of the UK cost. More people are now choosing to spend the money they have saved for private treatment in the UK to pay for a holiday in combination with private treatment abroad. Cosmetic surgery treatments or operations such as a knee replacement or a cataract removal are popular medical tourism options. If you intend to pay the full price of the treatment as a pay-as-you-go patient, you will need to make sure that the quote you have been given covers all the treatment and aftercare you will need. 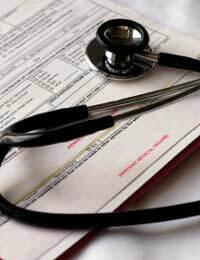 If you have private medical insurance, you might be quite involved with your planning and just assume that your treatment abroad may be covered by your policy. It comes as a shock to many people to find that very few current policies will allow treatment outside the UK and checking this out early on is a good idea. International health insurance cover is available but this has been developed for people who are planning to move out of the UK for a set period, to work abroad, for example. During this time, the insurance policy will cover the medical needs of them and their family in their new location. At the moment, most ordinary UK health insurance policies do not allow you to travel abroad for medical treatment, just because you want to save money. Most people want to travel abroad to take advantage of the savings for cosmetic surgery – for example a breast enhancement or breast reduction – for cosmetic dentistry or to have a routine operation such as a joint replacement or eye surgery. Some health insurance policies have clauses that allow travel for specialised treatments that are not available in the UK, but they will rarely give you permission for a standard procedure such as a hip replacement. If you decide to opt to travel to Eastern Europe for cosmetic surgery, you will probably have to accept that you need to pay all of your own medical costs. Even when you take into account the money you spend on travel and your accommodation, it is still possible to save a great deal of money. Before you jump ahead though, it is wise to think it through carefully and take other factors into consideration. It is possible that something might go wrong during your treatment or during your recovery period and you need to make sure that the clinic or private hospital has the facilities for emergency treatment. If you are a four hour flight from home, returning to the UK is going to be difficult. Some airlines would not let you travel if you were obviously ill. Even if you don’t have private medical insurance, you need to make sure you are covered under a special medical travel insurance policy. This will cover your journey back to the UK with medical assistance if you need it. On a personal level, travelling abroad will leave you quite isolated from your family and friends, who won’t easily be able to visit you to cheer you up. If this is important, paying more for treatment in the UK could suit you better. Although UK-based private health insurers frown on people travelling abroad for private medical treatment, this is not the case in all countries. In the USA, where all medical care is covered by medical insurance, it is common for insurance companies to sometimes insist that specific treatments are carried out abroad, usually in neighbouring Mexico, where they are very much cheaper. Travel to Europe can also be funded, but if you are based in the USA and have international medical insurance, you will need to check your individual policy to find out just what is covered and which destinations you can choose to have your treatment.